The Cuisinart juicer CJE-1000 is one of the more affordable juicers on the market, which is the most attractive feature for some users. It also has a very stylish appearance that is impressive to many people. It stands tall with a modern stainless steel design and a clear juice container positioned off the side. It definitely has the look you want for your modern kitchen, but how does it perform? When you look at this Cuisinart juicer, you have to remember that you are looking at a generally lower priced juicing machine. You cannot really compare this juicer to higher priced masticating juicers because they aren’t designed in the same way. Masticating juicers will generally be better performers, but sometimes come with a price tag three or four times higher than what you will pay for this one. 1000 watts of power to handle even hard vegetables. 5 juicing speeds to adjust for juicing different produce. Nice-sized 3″ chute to reduce the need for lots of produce prep. Stylish stainless steel outer design. Dishwasher friendly for easy clean up. It is quite pleasing to see such a powerful motor on a juicing machine that sells for this price. You can easily switch between the five speeds with a turn dial on the front of the machine. This dial lights up around the edges in blue, contributing further to the very stylish appearance of the juice extractor. With a nice sized chute you won’t have to spend a lot of time prepping and dicing up the produce you want to juice and when you’re finished you can simply throw the parts in the dishwasher and let that machine do the bulk of your clean up. You can’t expect a juicer selling for this price to outperform higher priced masticating juicers that deliver extremely dry pulp, which is why it isn’t very shocking to read that some people find juice still in the pulp after processing. The complaints commonly launched against this machine are common complaints for lower priced juicers. That is definitely something to consider as you compare juicer reviews and decide what you want to invest in your juicer. Can be messy to operate. Leaves considerable amounts of juice in the pulp. Pulp can get into the juice to easily. The biggest complaint here is that the machine doesn’t control where the pulp and juice go as well as other machines do. This means you may get more pulp in your juice and more juice in your pulp. 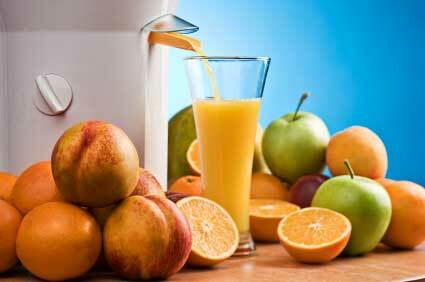 You may also get some pulp or juice splashing out on your countertop from time to time. These are not huge deals for everyone, but for those who want professional quality juice at home it may be a deal breaker. 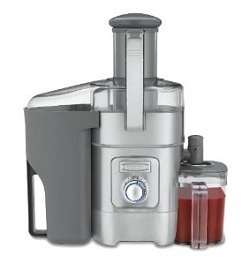 The list price for this juicer is $365.00. However, Amazon.com often runs it at a significant discount. Click here to see if there are any current deals on this model. This is a great product if you are just starting out with juicing or aren’t sure you will stick with it long term. If you are doing it more for savings at the grocery store than health benefits it may be all you ever need to purchase. Click here to compare to other juicier ratings.